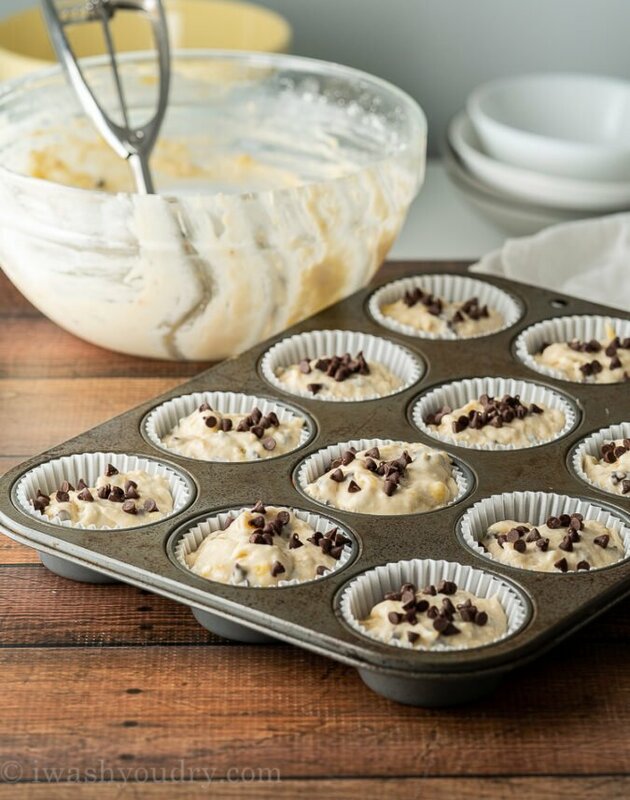 This super easy Banana Chocolate Chip Muffins Recipe is mixed up in just one bowl and ready in about 30 minutes! Mornings just got better because of these tasty little muffins! I took my 5-star Chocolate Chip Banana Bread recipe and converted it into these delicious little muffins and I’m so glad I did. 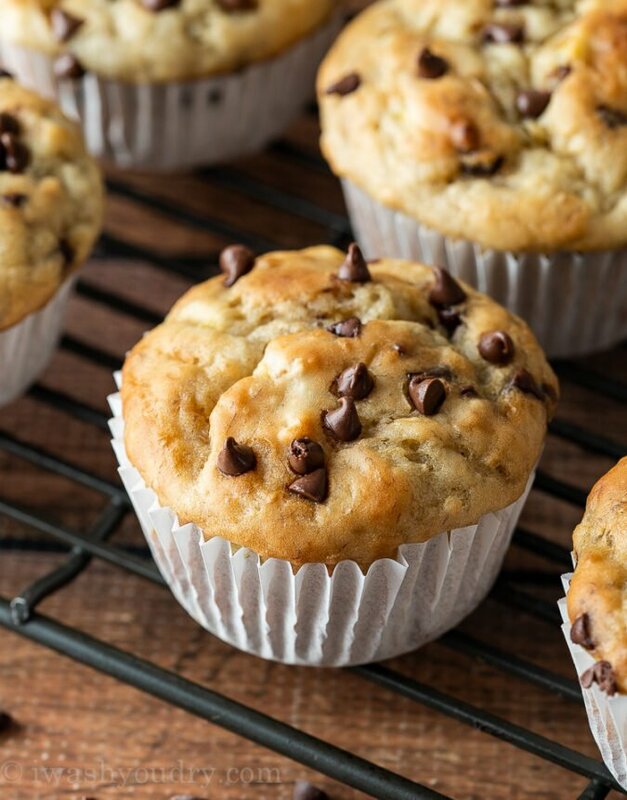 We can’t get enough of these tasty chocolate chip muffins. Start by combining a couple ripe bananas and plain greek yogurt in a mixing bowl. Add in some melted butter, sugar, baking soda, salt, an egg, flour and vanilla. Mix until combined. 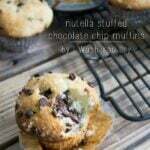 Fold in some mini chocolate chips and scoop into muffin liners. 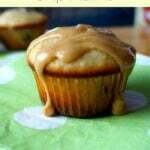 If you want to make these muffins extra healthy, here are some great ideas to tweak the recipe, while still giving you lots of delicious flavor! How Do I Quickly Ripen Bananas? Have you ever had a craving for some banana bread or these Banana Muffins and all you have are bright yellow bananas? 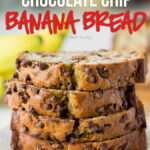 Have no fear, it’s super easy to get get those bananas extra ripe in a matter of minutes! OVEN METHOD: Place your bananas (in their peels) on a foil lined baking sheet and bake at 350 degrees F for 15 to 20 minutes. Once your bananas are blackened, let them cool completely then scoop out the bananas and use in your recipe! MICROWAVE METHOD: Peel your bananas and place them on a microwave safe plate or bowl. Heat them just until you hear them start to sizzle, about 30 seconds. BROWN BAG METHOD: This method takes a little longer, but still effective. Place the unripe bananas in a brown paper bag along with a ripe apple and close. The bananas should be ripe within a day or two. 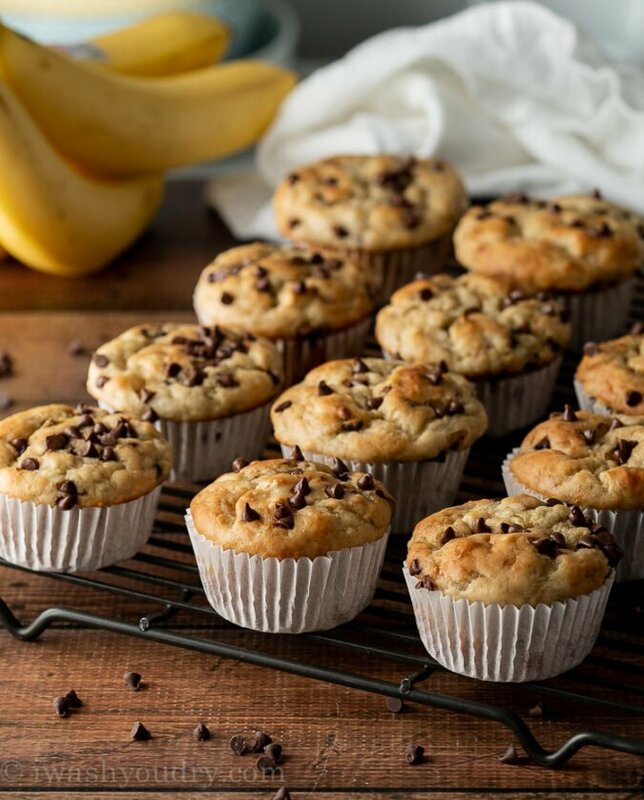 This Banana Chocolate Chip Muffin Recipe is a super quick recipe that’s perfect for making muffins for the week ahead or a delicious weekend treat. 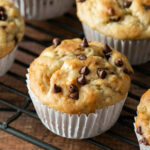 My kids love these muffins so much that they beg for them all the time! You’re going to love them too! 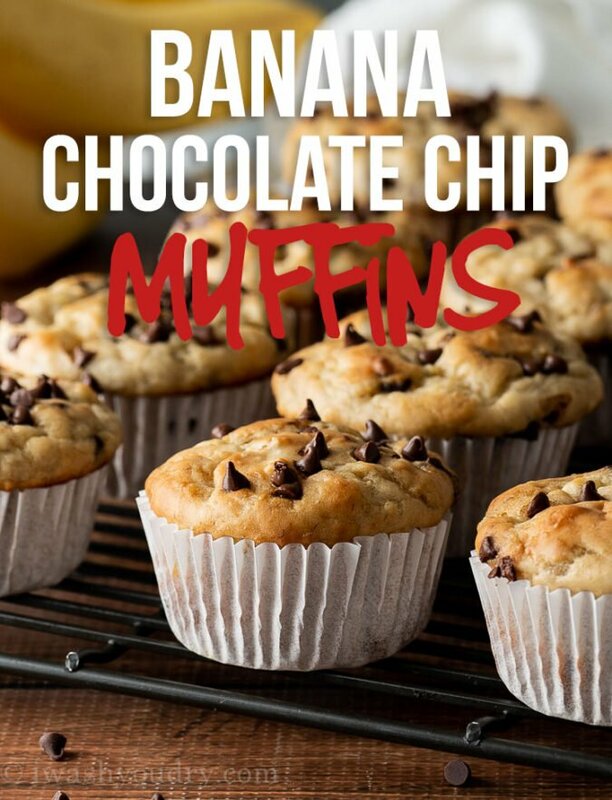 These super easy Banana Chocolate Chip Muffins are mixed up in just one bowl and ready in about 30 minutes! Preheat oven to 350 degrees F. Line a muffin tin with paper cups and lightly spray with non-stick spray. Set aside. In a large bowl mash the bananas and greek yogurt until completely smooth. Stir in the melted butter until smooth. Add the sugar, egg, vanilla, baking soda, salt and flour and stir until the batter is thick and combined. Fold in the chocolate chips then scoop the batter into the prepared muffin cups, filling a little more than 3/4 of the way full. Bake for 20 to 22 minutes, or until lightly golden brown. 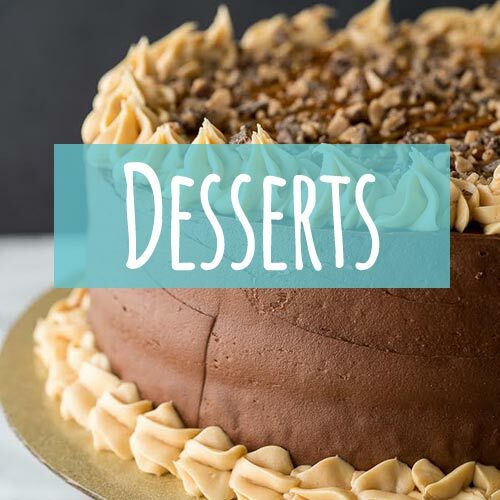 Let cool on a wire rack and enjoy! 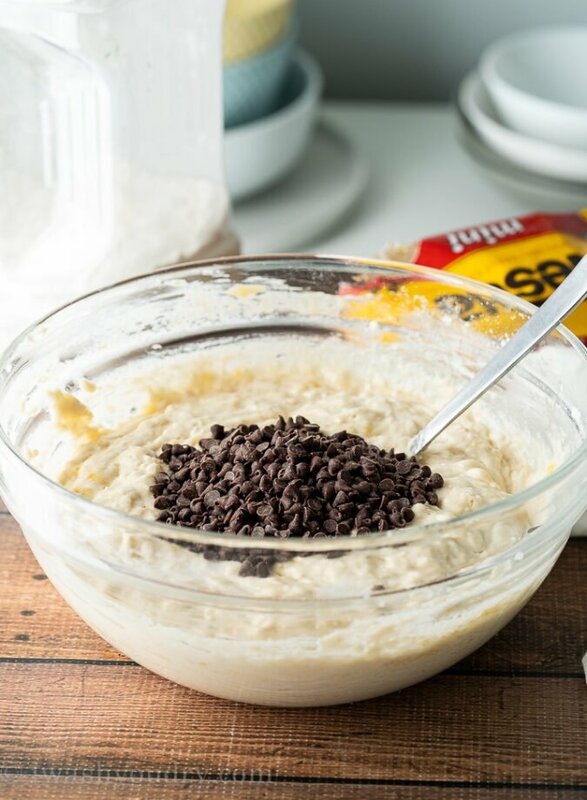 Sprinkle a few more chocolate chips on top of the muffin batter before baking for a pretty presentation. Could you use sour cream or regular vanilla yogurt instead of Greek? Sour cream would be fine to substitute. I have not tested this recipe with regular yoghurt. How do you interoperate the apple sauce into the recipe? 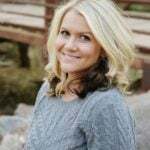 Can I sub out vanilla yogurt for the greek yogurt and also gluten free flour for the all purpose flour? You can definitely use vanilla greek yogurt, but I’m not sure on the gluten free flour. 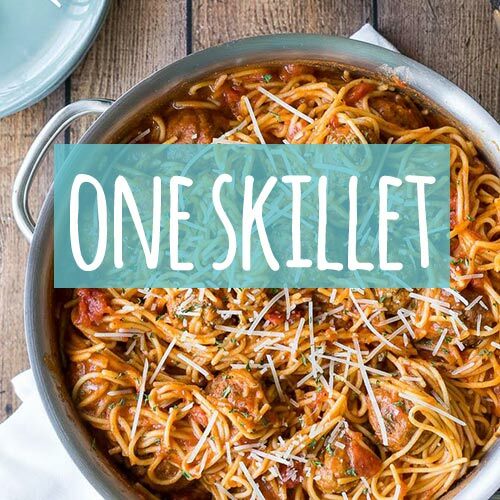 I’ve never tested this recipe using anything but all purpose.